Where do I use my Macback voucher code? "Discover money-saving discount codes and deals here at NetVoucherCodes." 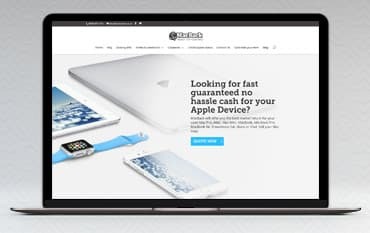 If you’re wanting to sell your Apple Goods to make money for new ones or earn some extra cash on some of your old Apple Devices, Macback has got you covered! You can expect the best market return for your products which you won’t find anywhere else on the net. Macback also offers a bulk buy service for businesses, schools and organizations look to regain value from their used Apple products. If your business, organization or school is looking to sell their Apple products, Macback will purchase them allowing you to put cash towards newer technology. You can be confident when using Macback that your Apple Device is in the right hands. Macback utilises a fully certified program under the ISO which guarantees a high level of operational efficiency as well as customer satisfaction. Whether you’re a large corporate organization or an individual, Macback is more than happy to assist in helping you enjoy cash returns for your used goods. In the event that Macback can’t resolve your problem, they will return your device completely free of charge. Browse online today to see what Macback can do for you and don’t hesitate to browse through our Macback deals page for exclusive offers. You can get a free of charge online quote - whether your an individual looking for a cash return on your Apple goods or a corporate organization wanted to shift a bulk batch of Apple devices. See what prices Macback can offer you today. How can I contact MacBack? What happens if there is a disagreement about the condition of the unit? You will be contacted by one of the MacBack advisors and offered an alternative price. If the adjustment is not to your liking MacBack will return the unit to you for free the next day. How do I find out the spec of my MacA? The easiest way to get an overview of your system is to simply click the Apple logo on the top left of the menu bar and then “About This Mac.” Here, a simple window tells you your processor and memory details, as well as the version of Mac OS X you are running. Selling your Apple Devices has never been easier than with Macback which offer you the best market return for your used Apple Products! If you’re looking for fast, guaranteed cash that is hassle-free, look no further than Macback for cash exchanges for your iMacs, MacBooks, iPads, iPhone and any Apple Device you own, however old or new! See what our Macback offers section can offer you and save on delivery costs and returns. You can now get money back for your goods and it’s made so simple with Macback, simply visit their online site for a free quote.